Plant City High School’s strikeout specialist has been on a tear since spring break ended. If anyone thought spring break disrupting the schedule would slow Ashley Blessin down, they couldn’t have been more wrong. 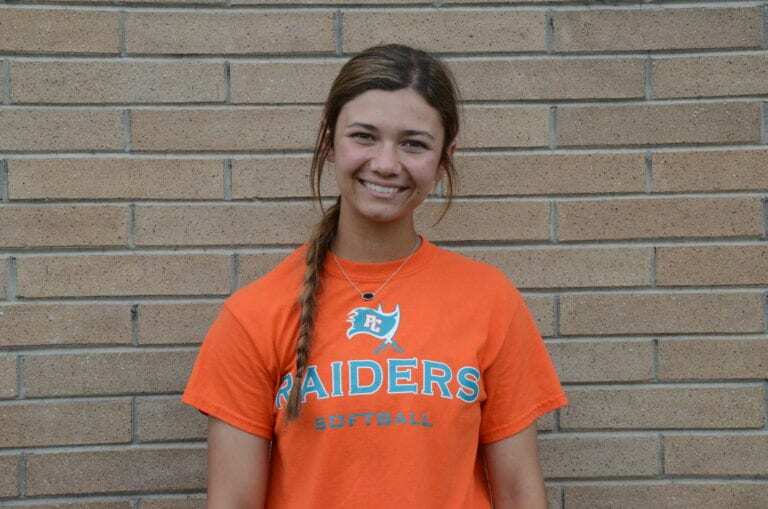 Blessin has struck out 72 batters in the Plant City Raiders’ last four completed softball games and has eight through four innings against Sebring in a delayed game to be finished April 22. The highlight of her last few weeks was her performance in the 13-inning win over Riverview, a pitchers’ duel in which opponent Christina Martinez finished with 15 strikeouts and Blessin with 32. Blessin is currently sitting at 899 career strikeouts (counting the Sebring stats) and hopes to break the 1,000 mark by the end of her high school career. Plant City’s last four games — technically four and a half with the Sebring game — have gone really well for you and the team’s won them all. How do you feel about the way this season’s wrapping up and where this team is? We’ve been playing really well these past few games… I’m really proud of how the team has developed throughout the season and that we’ve taken the losses and learned from them. Clearly whatever you’re doing to get in the zone against batters is working. How do you approach each at-bat? Get ahead, stay ahead. I want to be able to get ahead with strikes and then throw my pitches to be able to get them to hit what I want them to instead of just throwing it down the middle. I don’t want to walk them. Try and get some weak contact from the hitters. You’re a little more animated than most pitchers on the mound. Every out’s like a big celebration with you fist pumping and shouting, whether you got it or a teammate did. What’s your favorite out or outs you all have ever gotten, then? Sophomore year, there were two outs against Lakewood Ranch. One in the seventh inning, bases loaded, 3-2 count and I struck her out. Then the last out of the Lakewood Ranch game, when Tori (Garrison) caught the fly ball over here, those are my favorite two. What are you looking forward to about going to Marshall this fall? I’m really excited for the weather. To experience something new and get out of Florida. Get into college classes and workouts. The softball aspect of it, new friends, yeah. That will be the first time in a long time you’ll be on a team where your dad’s not coaching, too. Yeah, it’ll be different but I think he’s excited to also be in the stands for once. He’s never gotten to experience that, either. I’m really happy that he got to come out here and be the head coach because we get to end it together. I think it’s really great. He’s always pushed me to be the best and I really look up to him. What’s the best part about being on a team with this group of girls? This group of girls, we’ve grown up together since Little League. Me, Abbie (DeWeese), Rylee (Moorman) and Haley (Frangioni), we’ve known each other since elementary school. The rest of the girls, the sophomore class is really big and we’ve really gotten to bond. There’s just something about them that they feel like sisters to me.